Strategy of Slovak Librarianship development for the years 2015 - 2020 (the "Strategy") in strategic area 2: Building, long-term preservation, development and protection of library and information funds is determined under priority 2.2 Digitalization, long-term archiving and access to digital data and knowledge of the cultural and scientific heritage aims, to extend, improve and optimize the information, communication and technological capacity for the systematic collection, management, storage and long-term protection of library, information and knowledge funds in digital form. University Library in Bratislava-Slovakia implemented national projects of Operational programme Informatization of society “Central data archive”(2012-2015), “Digital Sources”(2015) and currently provides their sustainable operation and development. These activities correspond to the measures of adopted Strategy: 2.2.2 Engage libraries into a single platform, storage, archiving and long-term access to the cultural and intellectual heritage and 2.2.8 Ensure sustainable operation and development of the Central data archive (CDA) for long-term preservation of cultural heritage in digital form, and extend partner network of institutional contributors of CDA. After successful CDA 2016 Conference: The LTP Formal Challenges we are organizing the second international conference CDA 2017: Experience Exchange from Operation and Building of LTP Archives. Exchange of experience at international level is a prerequisite for the proper functioning of CDA, in line with the latest developments in LTP (Long Term Preservation) archives in the world. The expert conference will contribute to the exchange of experience, know-how in this area, and high-quality inputs and outputs to and from CDA. The Conference is also consistent with the aims of the organization of professional platforms discussed at a symposium "Libraries V4 in the Traps of Digital Age" in Brno-Czech republic. 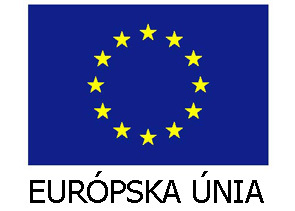 The conference takes place in the Week of Science and Technology in Slovakia in 2017 as one of the events. Week of Science and Technology in Slovakia is organized annually by the Ministry of Education, Science, Research and Sport of the Slovak Republic, in cooperation with the Centre of Scientific and Technical Information and the National Center for popularization of science and technology in society. The aim of the Week of Science and Technology in Slovakia is to improve the perception of science and technology in the awareness of the whole society, popularize and present them to encourage young people to study scientific and technical disciplines, to inform the public about scientific and technical knowledge and about the need to promote science and technology that are crucial for the economic and social progress as well as to help to solve global problems and challenges.